Chicken parmesan is a dish that can be revamped easily, eliminating all of the butter, oil and excess fat from the dish. 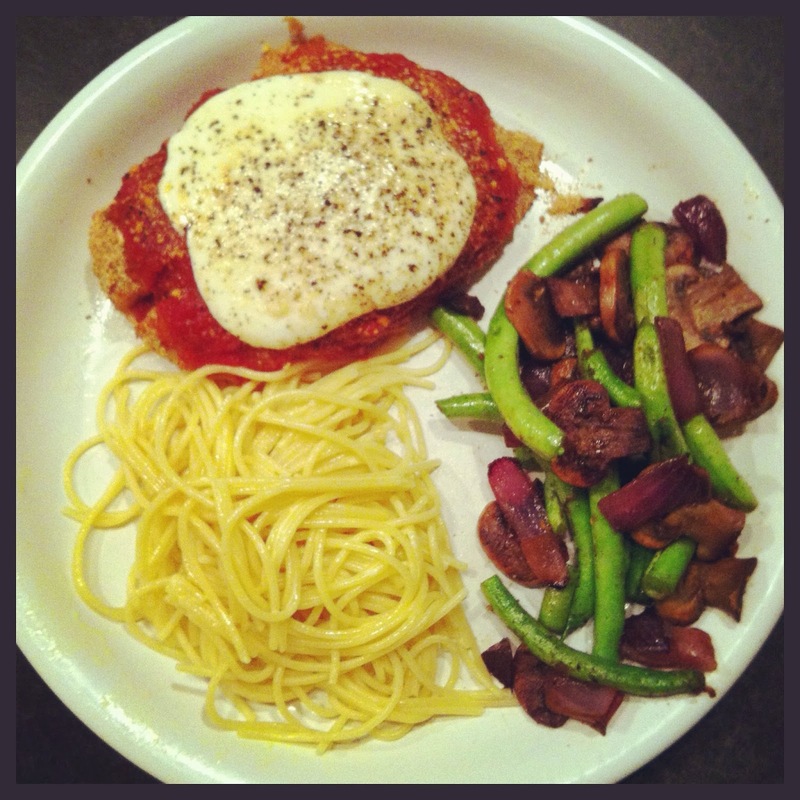 Here's my version of a slimmed down Chicken Parmesan. It's quick and can be done in under 45 minutes. I portioned out the recipe for one so make sure to prep accordingly if you're cooking for more than one. Combine the breadcrumbs and grated parmesan cheese. Coat both sides of the chicken breast with the breadcrumb and cheese mixture. Spray a baking sheet with cooking spray and place the chicken on the baking sheet. Bake for about 30 minutes. Turn them once, about 20 minutes in. After chicken is done cooking turn the oven off. Remove the chicken and top with marinara sauce and slice of mozerella cheese. Sprinkle salt, pepper and oregano on top. If you have chopped fresh basil add a pinch of that on top for extra flavor. Place the chicken topped with sauce and cheese back in the oven and let sit in the warm oven a few minutes until the cheese melts. You can serve this on its own or atop a small serving of while wheat spaghetti for a satisfying and slimmed down meal. Serves 1.